When you're handling small objects, it's integral that you're able to maintain a high level of dexterity. 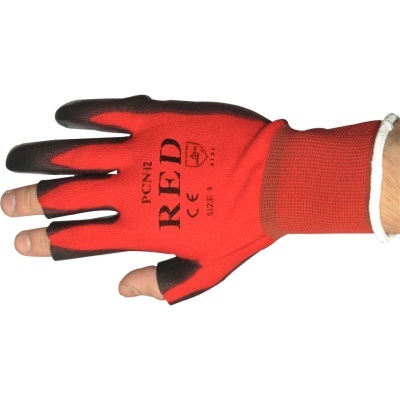 The Partially Fingerless PU-Coated Precise Handling PCN-12-Red Gloves are designed with three partially-exposed fingers for excellent touch sensitivity. This helps you work with precision and a delicate touch. 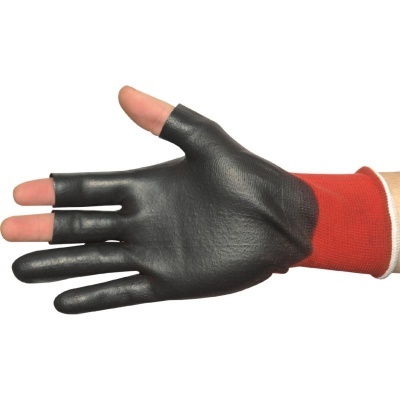 These are Category II gloves, meaning they should be suitable for most medium-weight tasks. The gloves provide a moderate amount of protection against mechanical risks, making them ideal for delicate handling tasks with abrasion or tear hazards. 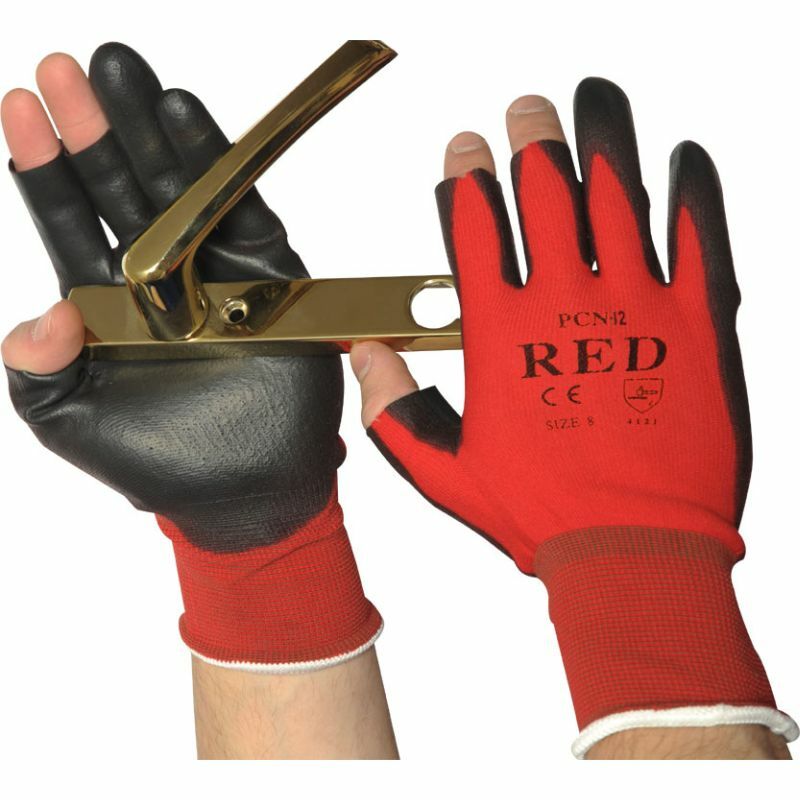 The Partially Fingerless Handling Gloves are available in four sizes to fit most hands. Please measure the circumference of your hand around the knuckles (excluding your thumb) with your palm open and your fingers together. Next, measure the length of your hand from the tip of your middle finger to your wrist.